26 February 2019, at 9:30a.m. 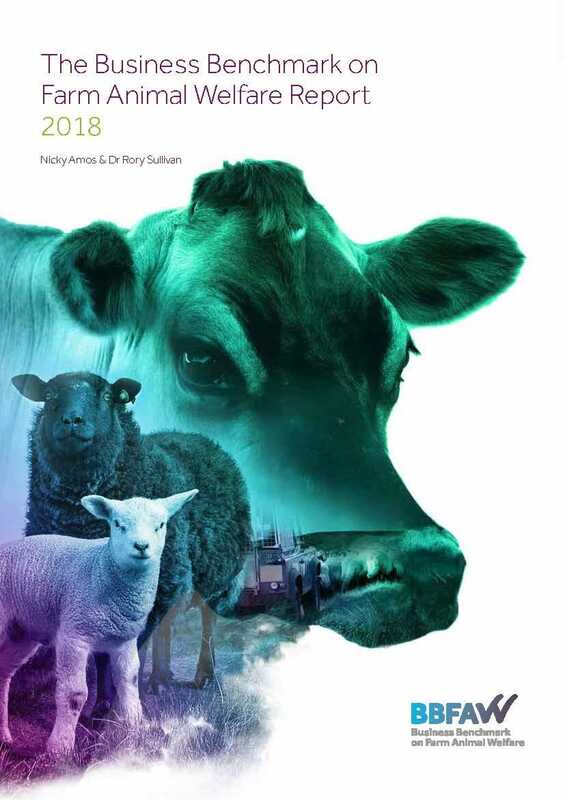 Launched today, the seventh annual Business Benchmark on Farm Animal Welfare, supported by Compassion in World Farming and World Animal Protection, confirms Cranswick, Noble Foods, Marks & Spencer, Waitrose and Co-op Group (Switzerland), as global leaders on farm animal welfare. However, while many of the 150 companies covered by the Benchmark have now adopted farm animal welfare policies and implemented farm animal management systems, the majority provide limited or no information on their farm animal welfare performance. The 2018 Report demonstrates that UK companies achieved a significantly higher overall average score (61 percent), compared to companies from other geographic areas, including North America (28 percent) and Europe, excluding the UK, (34 percent). Traditionally, the Producers & Manufacturers sector and the Retailers & Wholesalers sector have both outperformed the Restaurants & Bars sector (a category that includes many of the food service providers). However, in 2017, the performance gap closed between them and has continued to do so this year with the average scores for the Retailers & Wholesalers sector and the Restaurants & Bars sector both being 32 percent. The average score for the Producers & Manufacturers sector lags slightly at 31 percent. The Producers & Manufacturers sector saw the highest number of new companies being assessed by the BBFAW this year, with many new entrants appearing in the lowest two tiers. Despite this, two producers appeared in the top Tier again this year - Noble Foods, which had briefly dropped to Tier 2 in 2017, and Cranswick which has retained its top polling position. 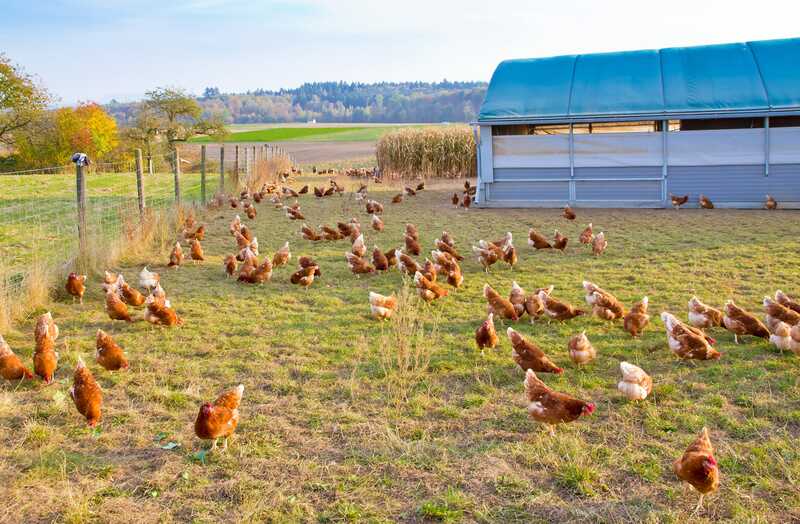 Globally, Kraft Heinz is switching to using only cage-free eggs across all its operations by 2025 and in Europe, its goal is to achieve 100 percent free range by 2020. The company has also committed to source all its pork globally from suppliers that do not use sow stalls. Since 2017, Kraft Heinz has been giving preference to suppliers that are able to help it achieve its goal of being 100 percent sow stall free. The company also supports industry initiatives that will eliminate cow tail docking in its milk supply chain, and it is committed to improving the welfare of broiler chickens by working with its suppliers and the industry to meet even higher welfare standards by 2024. The Benchmark undoubtedly provides a solid framework for companies on which to build and improve their performance and it is driving change. The overall average score at 32 percent is down from 37 percent in 2017, but this is not unexpected with the introduction of 43 new companies and the increased weighting (from 24 percent in 2017 to 35 percent of the total score in 2018) of the performance reporting and impact questions in the 2018 Benchmark. If we were to exclude the scores for the new companies and the increase in weighting, then the overall average scores would have been 38 percent and 41 percent respectively. Notwithstanding the like-for-like improvements in scoring, it is clear that there is much work to be done before the food industry is effectively managing the business risks and opportunities associated with farm animal welfare. The Benchmark is a long-term change initiative which is showing signs of progress. Of the 55 food companies that have been continuously benchmarked since 2012, 17 (31 percent) have moved up one Tier, 20 (36 percent) have moved up two Tiers and 8 (15 percent) have moved up three Tiers. Furthermore, the average score for these trend companies has improved from 25 percent in 2012 to 48 percent in 2018. These improvements are even more striking given the tightening of the Benchmark criteria over time and these companies should be congratulated. Their success demonstrates that BBFAW is driving higher farm animal welfare standards across the world’s leading food businesses and while there is still much work to be done, there is both an appetite and a willingness for change.